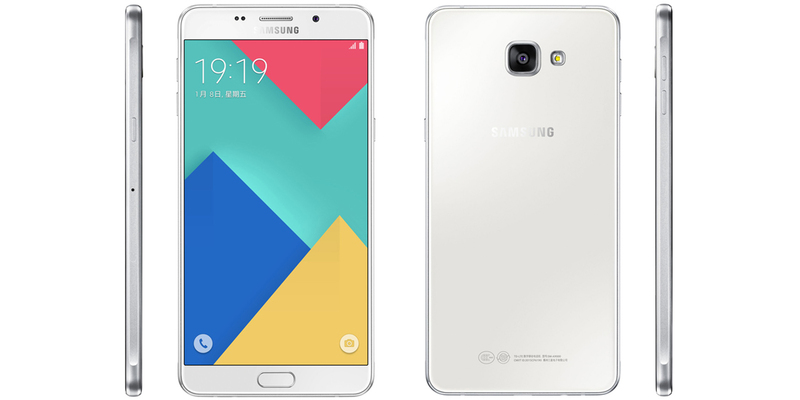 The smartphone Samsung Galaxy A9 is receiving the update to Android 6.0.1 Marshmallow via OTA in China. The distributed version is the one with the build number A9000ZCU1BPE2. Among the changes that brings the update is included, as usual, Doze for advanced energy conservation, Google Now on Tap, and the new permit system for applications. The news confirms that the device is officially the first of A series getting the latest stable version of Android. The Samsung Galaxy A9 is a phablet with a 6-inch screen and a resolution of 1920 x 1080 pixels, octa-core processor Qualcomm Snapdragon 652, 3 GB of RAM, a storage memory of 32 GB, rear camera of 13 megapixel, front camera of 8 megapixel, fingerprints scanner on the Home button, and 4000 mAh battery. The design is elegant because the body is made entirely of aluminum, as is customary in the Korean company since the release of Samsung Galaxy S6. Moreover, commenting that the Samsung Galaxy A9 Pro, the latest Samsung smartphone, should see the light away from Asia in the coming weeks. It is a device with features that place it within the high-end range and at an average price, at least guided by the preliminary rumors that have come from elsewhere. After witnessing the launch of Samsung Galaxy A9 it seems the brother comes with big advantage of this and a little more powerful (with 4 GB of RAM); an extra-large version that connects to the great family of current Samsung phablets. Samsung Galaxy A9 Pro, also known as MS-A9100, could be one of the protagonists after the earthquake that usually involves the Mobile World Congress, which ended in mid-February, as usual, in Barcelona. The new device would include an over 6-inch screen with a QuadHD resolution, perhaps, as well as a more powerful processor than the octa-core Snapdragon 652.